Adam Lambert Ranks in Top 3 of 2013 Idol Moneymakers! You are here: Home / American Idol / Adam Lambert Ranks in Top 3 of 2013 Idol Moneymakers! 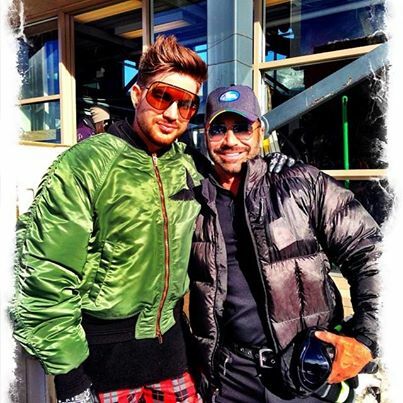 While Adam Lambert was enjoying the sun and snow in Aspen with a gang of buddies last week, the media was looking into Idol Alums’ 2013 earnings. My San Diego Union Tribune had this about our hometown boy today. I saw lots of requests for the article on Twitter, so I thought I’d post it here. Visit here if you want the site. Former San Diego vocal powerhouse Adam Lambert came in second on “American Idol” in 2009, losing the top spot to Kris Allen. But, five years later, it is Lambert whose career is proving by far the more lucrative. In Forbes magazine’s annual tally of the 10 top-earning “Idol” alums, Lambert tied for third place with 2012 winner Phillip Phillips. Both made an estimated $5 million in 2013 , according to the financial magazine’s estimates. The 2014 edition of “Idol,” whose viewer ratings have plummeted in recent years, will debut tonight, Jan. 15, on Fox. Lambert made his debut on the TV series “Glee” in 2013, collaborated with the classic-rock band Queen and electronic music star Avicci, and headlined at the San Diego County Fair’s Grandstand Stage. He currently has no concert dates scheduled, according to his website. The second-highest earner on Forbes’ list was Kelly Clarkson with $7 million. Fellow country-pop star Carrie Underwood easily lived up to the title of her 2012 album, “Blown Away,” earning $31 million. Over the past five years, Underwood has raked in $83 million, Forbes estimates, through her concert tours, record sales and lucrative endorsement deals. Daughtry, the rock band led by “Idol” veteran Chris Daughtry, came in fourth with $4 million, followed by Scotty McCreery ($3 million), Taylor Hicks ($2.5 million) and Fantasia Barrino ($1.5 million). Kellie Pickler, Katharine McPhee and Jennifer Hudson were tied, with earnings of $1 million each. Conspicuously absent from the Forbes list is 2009 “Idol” winner Kris Allen and 2012 runner-up (and Chula Vista native) Jessica Sanchez. Also missing from the list is last year’s winner, Candice Glover, along with past “Idol” winners Lee DeWyze, David Cook, Jordin Sparks and Ruben Studdard. You’re very welcome Shirlee! While Adam has been relatively low-key for a while, I’ve also been taking a bit of a breather, getting ready for him to blow us away with his next adventures! I will never, ever stop adoring Adam Lambert! Any information I get in regards to this astonishing man is much appreciated. I will love Adam as long as long as I live. If the music and TV world wasn’t bogus, he’d be the top earner on IDOL and in other circles. Maybe some day, but I’m happy with #3. Carrie is way overrated IMO. Very interesting! I’m surprised at some of those names on the list, but it’s all fabulous! Thanks so much for bringing us ANY news about this fabulous entertainer! I have to listen to his music every single day! He’s absolutely addicting! IMO Adam doesn’t get the recognition he deserves. I’m convinced that all music artists are so intimidated by that beautiful voice and presence! Because, YES, HE CAN SING ANYTHING!! They, as from the U. S. , should be so proud that he represents their country!! Seems that every country has embraced him but ours. Can we really be “so shallow”! All of us who love him need to be diligent with the media, radio, TV shows, etc. and request that he and his music be played, and that shows have him perform. Still hasn’t been on Dancing With the Stars, although they have danced to a couple of his sings. So let’s do all we can via Twitter, FB, and get him on there this coming season! Oh, wouldn’t he be spectacular! I love Adam. I voted for Adam for 4 hrs straight on the phone. I will always love him too as long as I live on earth and beyond. Adam is the best. God Bless him and God Bless him for God giving us his beautiful musical talent and sharing with us and all of his wonder talent with the world. Adams kind heart and wonderful family too. Keep going Adam. God Bless you my Idol friend. I love Adam; I listen to his music everyday on my work to and from work; and i watch his youtube videos almost everyday; he’s the best; his voice is incredible; I’m a forever fan! !